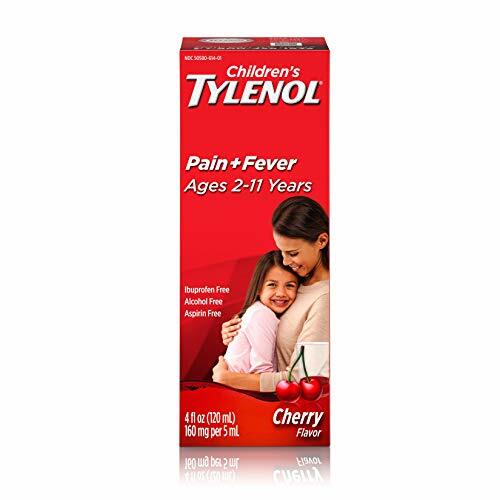 Relieve your child's minor aches and pains with Children's Tylenol Oral Suspension. 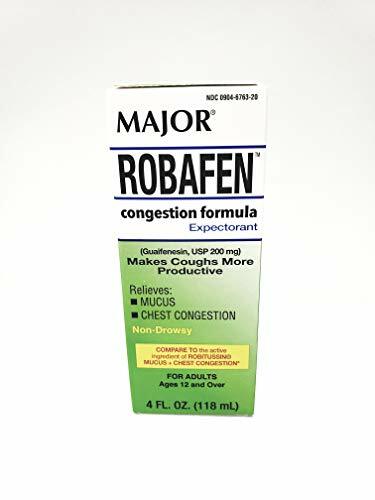 Containing 160 milligrams of acetaminophen per 5 milliliter dose, this product is a temporary fever reducer and pain reliever for minor aches and pains due to the common cold, flu, sore throat, headache, and toothache. This grape-flavored product is gentle on the stomach. It is intended for children ages 2 to 11. Robitussin knows it s never just a cough when you re coughing, you may be sick. Robitussin Long-Acting CoughGels provide up to eight hours of cough relief in a single, non-drowsy dose. Robitussin cough gels are formulated with a tough cough suppressant that helps reduce the urge to cough. The liquid-filled capsules are great for people who prefer taking a pill and are convenient for relief at home or on the go. 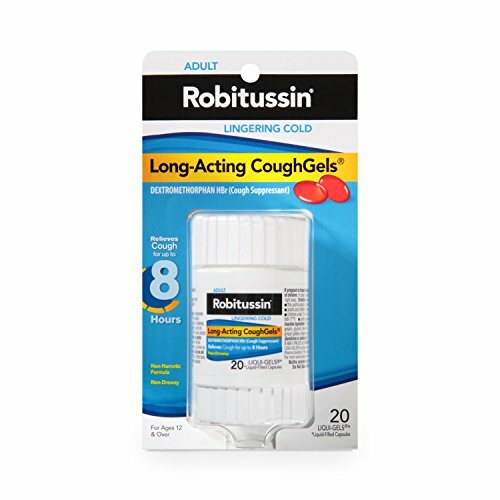 Robitussin Long-Acting CoughGels are formulated for adults and children ages 12 and over review all labeled directions and warnings prior to use. Zarbee's Naturals Baby Cough Syrup is made with agave to help soothe baby's cough associated with hoarseness, dry throat, and irritants*. This safe and effective cough syrup for babies is specially formulated with organic agave syrup, so it's safe for infants 2 months+. You can count on Zarbee's Naturals for vitamins, supplements, and options to soothe and support your whole hive. From our honey-based throat soothing* cough drops, to melatonin gummies, to elderberry immune support* supplements, Zarbee's Naturals has got you covered. Check out our whole line of products made of handpicked wholesome ingredients, and without any drugs, alcohol, or artificial flavors. *These statements have not been evaluated by the Food and Drug Administration. This product is not intended to diagnose, treat, cure, or prevent any disease. TURN COUGHS INTO GIGGLES Zarbee's Naturals Baby's Cough Syrup + Mucus with organic agave syrup and english ivy leaf extract helps your baby clear mucus when they are coughing*. It doesn't include any honey, so can be safely used by infants 2 months+. BABY'S COUGH SYRUP + MUCUS was created by a pediatrician to provide your infant with a safe & effective way to calm coughs associated with hoarseness, dry throat, and irritants*. Wholesome, safe, and chemical free. SAFE & EFFECTIVE Recommended for infants as young as 2 months+ and free of drugs, alcohol, dyes, artificial sweeteners and artificial flavors. 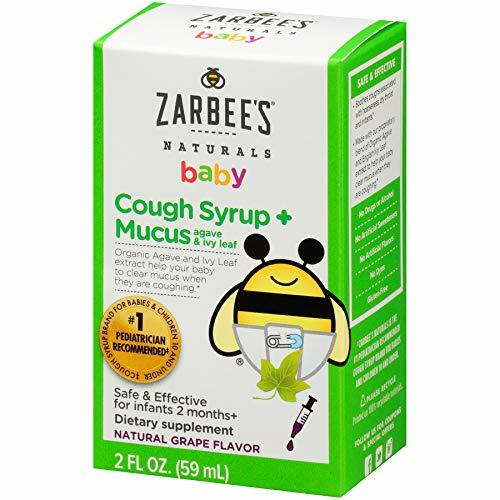 Zarbee's Naturals Baby Cough Syrup + Mucus with a natural grape flavor so it goes down easily. 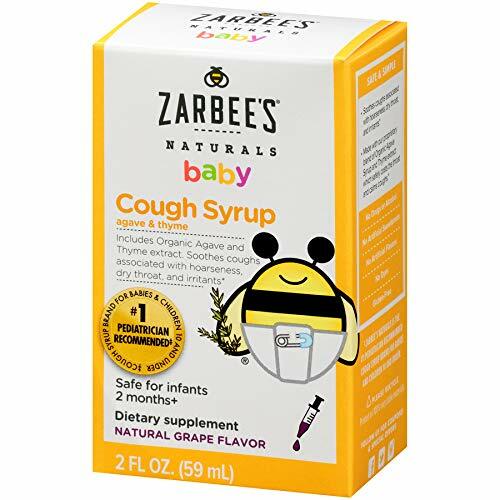 PEDIATRICIAN FOUNDED AND RECOMMENDED Zarbee's Naturals is the #1 Pediatricain recommended cough syrup brand for babies and children 10 years and under. Zarbee's Naturals strives to provide quality natural health products for the whole family. *These statements have not been evaluated by the Food and Drug Administration. This product is not intended to diagnose, treat, cure, or prevent any disease. USDA certified organic, full-spectrum, standardized black elderberry extract. 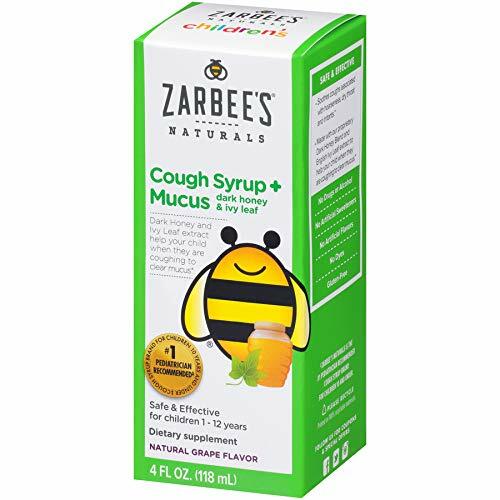 TURN COUGHS INTO GIGGLES Zarbee's Naturals Children's Cough Syrup + Mucus with Dark Honey soothes coughs associated with hoarseness, dry throat, and irritants*. Made with Ivy Leaf extract to help your child when they are coughing to clear mucus*. 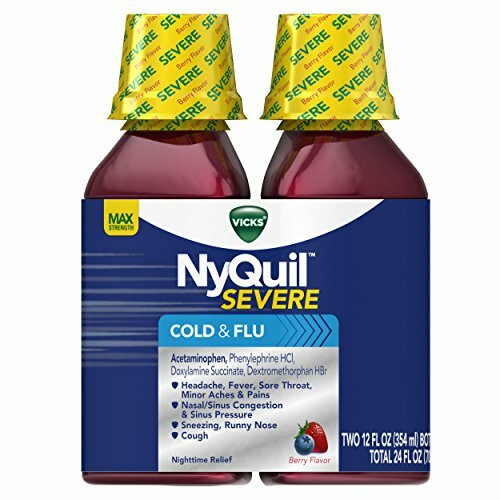 NIGHTTIME FORMULA: Nighttime Cough Syrup + Mucus contains English Ivy and honey to help child when they are coughing to clear mucus*, plus melatonin, a non-habit forming and drug-free ingredient, to help promote peaceful sleep*. WHOLESOME INGREDIENTS Our Kid's Cough Syrup + Mucus Day & Night formulas are chemical-free and made with English ivy leaf extract, vitamin C, zinc & antioxidant-rich, natural dark honey. Pediatrician recommended. Gluten free. 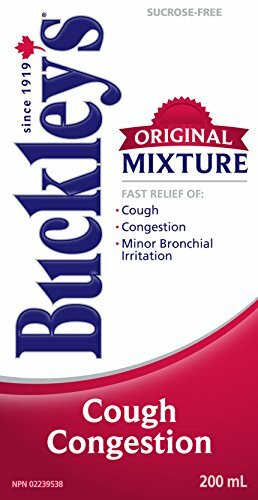 Fast relief of coughs and congestion due to cold and minor bronchial irritations.All Buckley's syrup now comes with twist cap only, there is no seal on the bottle.Only box is sealed from both ends. 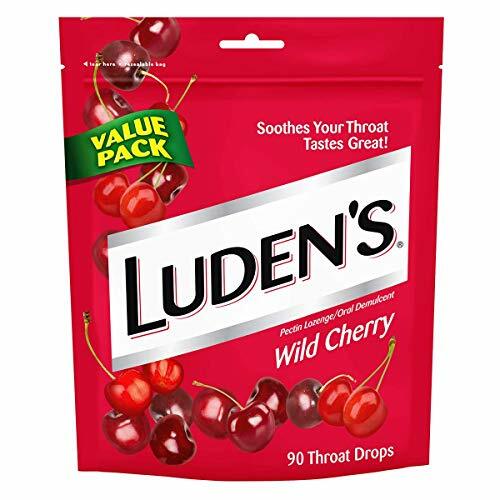 Find temporary relief from everyday irritations to minor sore throats with Luden s. These great tasting lozenges are formulated to work fast to relieve sore and scratch throats. Don t let a cough or sore throat keep you down from your everyday tasks. Features 90 individually wrapped wild cherry flavor drops in a conveniently resealable bag you can take anywhere, anytime. Active ingredients in each drop Pectin (2.8mg); Oral Demulcent. SOOTHE YOUR THROAT - Protects irritated areas in sore mouth and soothes everyday throat irritation. TASTES GOOD - Comes in a great tasting wild cherry flavor the whole family will love. RELIEVING - Fast acting relief of minor discomfort and irritation for adults and children 3 years of age and older. CONTAINS - Active ingredients in each drop Pectin (2.8mg); Oral Demulcent. INCLUDES - Package contains 90 individually wrapped drops in a conveniently resealable bag. Temporary relief of minor discomfort and protection of irritated areas in sore mouth and sore throat. 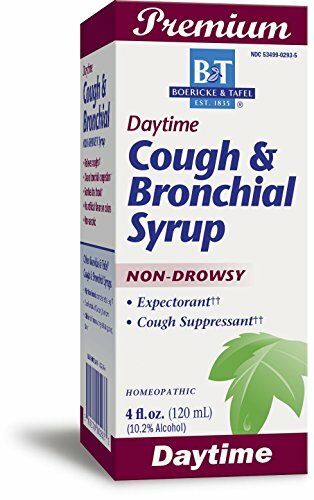 CHILDREN'S COUGH SYRUP + MUCUS was created by a pediatrician to provide your child with a safe & effective way to calm coughs associated with hoarseness, dry throat, and irritants*. With vitamin C & zinc to help support the immune system*. 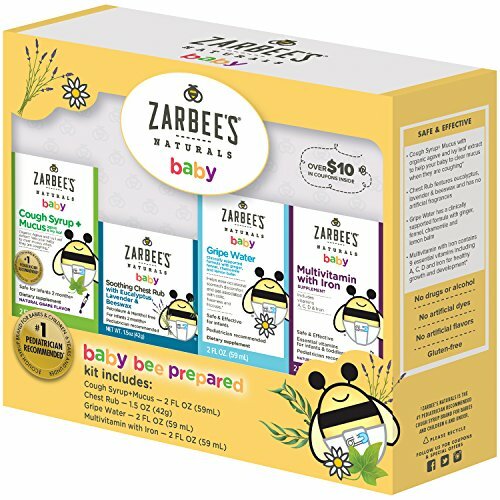 Zarbee s Naturals Baby Bee Prepared Gift Set is the perfect gift for new parents. 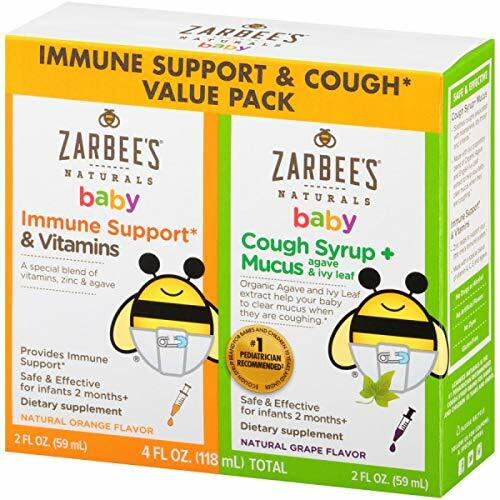 A thoughtful assortment of Zarbee's Naturals products, including Cough Syrup + Mucus, which helps to clear mucus when coughing*, Chest Rub, Gripe Water, and Baby Multivitamin with Iron, it makes an excellent baby shower gift. Comprehensive and convenient gift for baby boy or baby girl. You can count on Zarbee's Naturals for vitamins, supplements, and options to soothe and support your whole hive. From our honey-based throat soothing* drops, to melatonin gummies, to elderberry immune support* supplements, Zarbee's Naturals has got you covered. Check out our whole line of products made of handpicked wholesome ingredients, and without any drugs, alcohol, or artificial flavors. *These statements have not been evaluated by the Food and Drug Administration. This product is not intended to diagnose, treat, cure, or prevent any disease. COMMITTED TO QUALITY From vitamins to products that help support immune systems*, Zarbee's Naturals strives to provide quality natural health products for the whole family. Try our full range of chest rubs, drink mixes, cough drops, vitamins, and more. IMMUNE SUPPORT* Features a special blend of vitamins including A, C, D, and E, plus zinc to help support the immune system. Great-tasting natural orange flavor. Made with agave syrup. SAFE & EFFECTIVE Recommended for infants as young as 2 months+ and free of drugs, alcohol, dyes and artificial flavors. With natural flavors so they go down easily. Wholesome, safe, and chemical free. WHOLESOME INGREDIENTS Handpicked, wholesome ingredients, with no drugs, alcohol, artificial flavors, or dyes. Gluten-free. Pediatrician reommended for infants 2 months+. 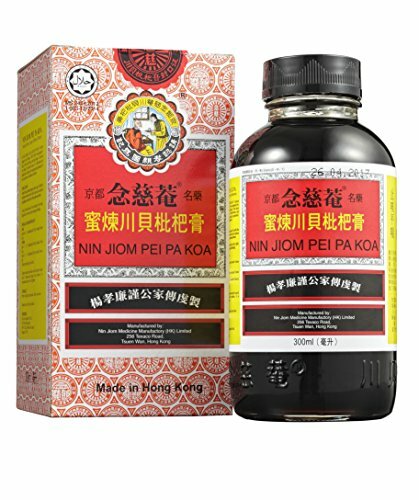 A study at the China Academy of Traditional Chinese Medicine published in a 1994 article, "Pharmacological studies of nin jion pei pa koa", indicated that Pei Pa Koa had significant effect on relieving coughs, removing sputum, relieving asthma in vivo and in vitro. 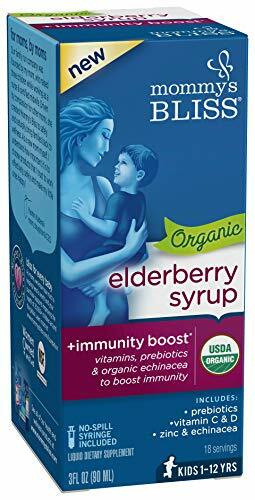 IMMUNE BOOSTING ELDERBERRY SYRUP FOR KIDS: Mommy's Bliss Organic Elderberry Syrup + Immunity Boost has zinc and vitamin C, and is pediatrician recommended. Kids love the yummy elderberry flavor, so it's easy to help them feel healthy and happy all year. 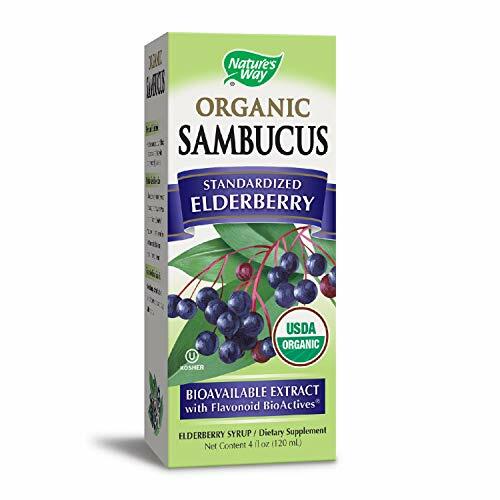 ORGANIC ELDERBERRY SYRUP: Whether it's the middle of summer, back to school, or cold and flu season, your kid can always use an immunity boost. Elderberry syrup has been used as an herbal remedy for coughs, and to boost the immune system for generations. MOMMY'S BLISS: Stockup with our gentle remedies to help bring comfort for the occasional cough, or colicky tummy trouble *. Probiotic drops and vitamins help support healthy immune systems*, for healthy, happy kids. FOR MOMS, BY MOMS: Mommy's Bliss is on a mission to bring bliss to parents everywhere. You and your little one will love our products if you've used ones from brands like BioGaia, Gerber, Evivo, Little Remedies, Zarbees, Colic Calm, Sambucol, and Maty's. SAFE & EFFECTIVE This cough formula, pediatrician recommended for infants 2 months+, is free of drugs, alcohol, dyes, gluten and artificial flavors. 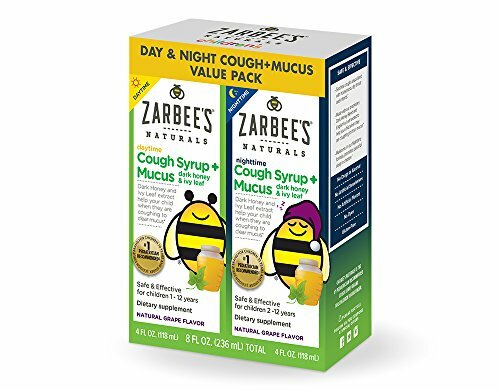 Zarbee's Naturals Cough Syrup w/organic agave & natural grape flavor is a cough syrup they won't run from. WHOLESOME INGREDIENTS: We make our cough syrups using natural ingredients, extracts & nutrients to help support the health of your whole hive. Created by a pediatrician, Zarbee's Natural's offers throat soothing cough syrups for babies, children & adults. Delsym Adult Cough Suppressant Liquid, 12 Hour cough suppressant in Orange flavor has a patented time-release medicine that goes to work fast to silence cough for a full 12 hours, up to 2 times longer than other cough liquids*. *Among OTC liquids per dose. 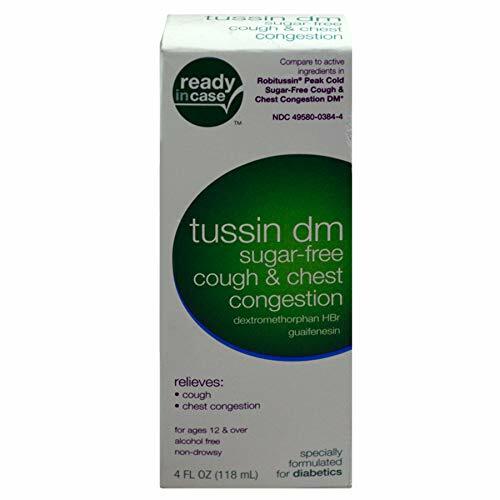 Contains Dextromethorphan Polistirex, Extended-Release Suspension (Cough Suppressant.) Works both Day or Night, Alcohol-Free. Tukol Cough & Congestion - Multi-symptom relief with expectorant, cough suppressant and nasal decongestant in a pleasant fruit-flavored syrup. TUKOL Adult X-Pecto Miel Honey Cold Syrup, 4 oz. 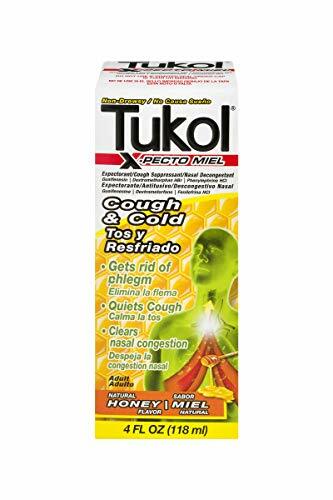 Tukol X-Pecto Honey Cough & Cold - Multi-symptom relief with expectorant, cough suppressant and nasal decongestant in a pleasant honey-flavored syrup. Mullein leaf is an effective herb to help alleviate coughs and other respiratory issues. It is an excellent expectorant and soother, specific for dry, harsh, hacking coughs. It helps to clear congestion and promote better breathing. This Mullein tincture is in a base of organic, gluten-free alcohol. If the taste of the tincture is too sharp, simply add the tincture to a small amount of hot water and the alcohol will be evaporated off. You can mask the taste in your choice beverage and add honey to taste. A dose of mullein leaf extract has the same alcohol content as eating a very ripe banana. Suggested Use: Shake well before use. Use 1 - 2 droppersful 3-4 times daily. A dropperful equals approximately 30 drops of liquid tincture. Taking the tincture directly under the tongue and avoiding any liquids or foods for at least 15 minutes afterward provides the best results. NATURAL TREATMENT FOR IRRITATING COUGHS WITH BRONCHIAL CONGESTION - Mullein leaf extract effectively eases coughs and other respiratory issues. It is an excellent expectorant and soother, specific for dry, harsh, hacking coughs. BREATHE EASIER - When your airways are congested, breathing becomes more difficult. Mullein leaf is known for its ability to loosen chest congestion and help you rid your body of the mucus for easier breathing. 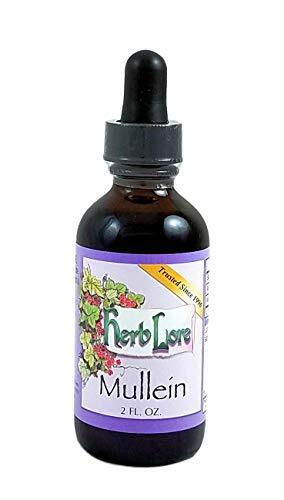 FRESHEST ALL ORGANIC MULLEIN LEAF EXTRACT - Herb Lore sources all-organic non-GMO herbs from well known and ethically sustainable sources. There are no additive or fillers used - only pure organic herb. The tincture is manufactured in small batches, frequently. This guarantees a fresh product all of the time. MULLEIN LEAF EXTRACTED IN 40% ORGANIC ALCOHOL - The medicinal qualities of the mullein leaves are extracted with gluten-free, all-organic grape alcohol. The tincture is mellower than grain alcohol based tinctures. A dose of mullein leaf extract has the same alcohol content as eating a very ripe banana. SUGGESTED USE: Shake well before use. Use 1 - 2 droppersful 3-4 times daily. 2 ounce bottle contains 84 droppersful. 4 ounce bottle contains 168 droppersful. A dropperful equals approximately 30 drops of liquid tincture. Taking the tincture directly under the tongue and avoiding any liquids or foods for at least 15 minutes afterward provides the best results. Soothes little throats & clears out the yucky stuff. Maty's Organic Children's Mucus Cough Syrup is simply created with whole food, immune-boosting ingredients to soothe little throats. Mother Nature's organic recipe combines thyme and oregano to thin and loosen mucus. Maty's makes natural and organic whole food health alternatives for the entire family. Our focus on healthy, whole food ingredients means that with our soothing remedies, you won't worry about side effects, drug interactions, or taking too much. You can use our syrups like you'd use honey or maple syrup -- add some to tea, smoothies, oatmeal and even pour them on pancakes! We create drug-free alternatives for babies, children, and adults. All of Maty's products are either all natural or organic, and are made with ingredients that you can pronounce. You can give them to your family and be confident that you know what is in them. Maty's product line includes organic and all natural cough syrups, all natural vapor rub, all natural baby chest rub and baby ointment, and all natural acid indigestion relief remedies. NATURAL COUGH SYRUP: Each ingredient in Maty's Organic Children's Mucus Cough Syrup is thoughtfully chosen for its healing properties. We choose organic ginger, thyme and oregano to thin & loosen pesky mucus. USDA Certified Organic. IMMUNE BOOSTING INGREDIENTS: Each of Maty's cough syrups have ten immune boosting ingredients in every spoonful. When you have a cough or sore throat, our syrups soothe and coat your throat with organic honey and boost your immune system. 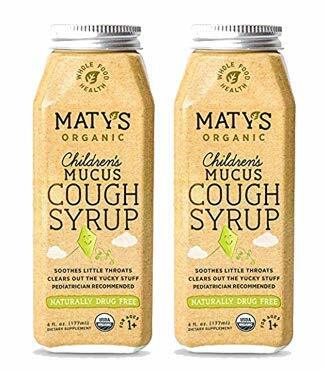 NO MORE MUCUS & PHLEGM: Maty's Organic Children's Mucus Cough Syrup works quickly to help get rid of a wet, hacking cough, phlegm and mucus. By using drug-free, whole food ingredients there are no side effects and no worries about taking too much. 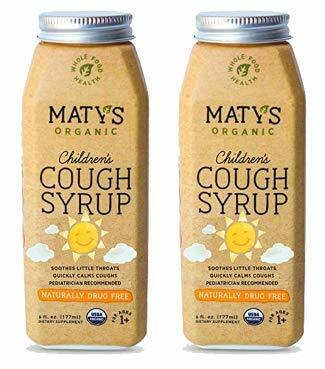 KID FRIENDLY COUGH SYRUP: Get creative with how to take Maty's cough syrups. Since they're made with whole food ingredients, you can use them the same way you'd use honey or maple syrup. Put some in tea, oatmeal, smoothies or even on pancakes! RETHINK YOUR MEDICINE CABINET: Maty's whole food, alternative health products are made with real ingredients, so you get natural & pure products. Started by a mom who wanted natural remedies for her children, Maty's formulas provide safe, healthy relief. Maty's Organic Childrens Cough Syrup is simply created with safe, natural whole food ingredients to calm coughs & soothe little throats. Maty's whole-food, immune boosting ingredients soothe coughs and throats while building up the immune system, naturally. Matys Story: When modern medicine didnt work for her baby girl, Matys mom turned to the inherent wisdom of anotherMother Natureto create pure, whole food-based alternatives. Recipes from simpler times that are even more effective today.